Animal Collective were simply unstoppable for the entirety of the past decade. That they managed to bring about a semblance of psychedelic overtones into the mainstream consciousness is something of a tiny miracle, let alone that it was achieved without never really compromising their wild creative streak. It’s safe to assume that Merriweather Post Pavilion will forever be deemed as their “pop record”, and in a way the left field success of Merriweather has somehow weathered the test of time even when it has steadfastly informed all of their records ever since. 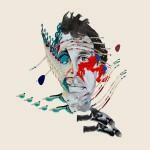 The steady evolution of Animal Collective has never been about taking major leaps and bounds; in fact, each succeeding record slightly tweaks and refines the previous one while incorporating some element that would eventually lay the groundwork for a future effort. The folk-laden Sung Tongs brought some campfire thrills before Feels fully blossomed into a knotty, aberrant affair of impermanent wonder; subsequently, Strawberry Jam managed to completely deform the brittle dizziness of Feels into a brawny, even hostile, exercise of sonic abstract art. It was during this time that Animal Collective started to flirt with the idea of writing the next great American psychedelic record, something resembling a Brian Wilson opus overlaid with a patina of surrealism. It was also during this time that Animal Collective began to really emphasize their fascination with looped samples and sequences, undoubtedly a reflection of Panda Bear’s use of synth drones and Avey Tare’s murky sonic jumble. It eventually lead to the band becoming a shadow of their former selves, a brand name that excels through brand recognition instead of there being any foundational context. Which is a truer denomination of what we have now - four musicians who’ve gone on to embrace their own personal projects, thereby taking the opportunity to meet once in a while in an attempt to ignite some uniform inspiration that sadly evokes a distant past. Painting With does has an unrehearsed quality to it, that of four musicians who are tacking together all these disparate ideas with the intent of cobbling together a cohesive whole. So there’s an apparent disconnect in the way these songs translate, tiny morsels of sound that are spliced together into a misguided full-length project. The kooky, pogo-stick coils and euphoric vocal chants of Floridada mark a return-to-form from the overbearing clutter of Centipede Hz, featuring a maelstrom of tangled and maniacal expression that is just too infectious to turn your nose at. Unfortunately, Floridada is the true outlier in the otherwise creatively tepid Painting With, which paints a Pollock-ian muddle of textures that is completely devoid of any form or mood. Unless, however, the mood it strikes is one of senseless absurdity, which wouldn’t be such a problem if it at least had a semblance of melody to it - Lying in the Grass and Natural Selection sound like free form beats that had to be chucked ad-nauseum into a repetitive pound, while On Delay and Summing the Wretch entwine unsyncopated percussion elements alongside fun-house synth bobbles that bob aimlessly like a novelty replica of AnCo bobbleheads. These seem to have been clearly taken from Noah Lennox’s scrapped layouts during his fateful meet up with the Grim Reaper, locked into one-note ideas that rarely, if ever, fluctuate, as if you’re witnessing some psych-pop equivalent to thrash metal. Which, by the way, sounds like a way more appealing idea than what’s truly showcased on Painting With. Granted, there are some redeeming qualities tucked within, from the enraptured merriment of Golden Gals to the frenetic vocal gymnastics found in The Burglars. But all in all, Painting With feels just far too interpolated, and even familiar, to truly grasp, though through its failures it manages to somehow bring them one step closer to achieving those awe-inspiring moments of yore.